Real cycling: TfL promo vids: Bare-headed, or thin film on top? We spotted this TfL film crew at work yesterday, filming a lass on a hire bike trundling up and down Cycle Superhighway 3 on Narrow St. The British film industry may be worried by budget cuts at the moment, but TfL is doing its best to rescue things single-handed, with their five lively new films promoting cycling. Each features a different type of London cyclist, covering the whole range of Londoners that matter: two TV celebrities, two more attractive young white women, and a diversity-box-ticking young chap called Mohamed. No older, or otherwise ugly, people, obviously. Not in the target demographic, no doubt. Still, to my mind it's good to see that only two of the protagonists are wearing helmets. This lack of lids worried BBC Tranport Correspondent Tom Edwards in his recent blog, though. Evidently the Beeb guys are a nervous lot when it comes to headgear - and their impartiality snaps faster than a non-Snell standard helmet. For example, the BBC Radio 4 programme More or Less last Friday (listenable again until Friday 3 September) 'covered' the helmet debate. But the presenter couldn't help but sign off saying how he wears a helmet. (Tock, tock, as he taps his helmet, ooh, that's good use of the radio medium you see, they're trained professionals, you know.) The Beeb hackette writing the BBC website article about the same programme couldn't resist putting her oar in too, saying she always wears a helmet. Of course, it's very unlikely that a BBC programme is likely to cause damage to your laptop or radio, when you lash out in anger at them during another superficial item on cycle helmets that uses anecdote and opinion as 'evidence'. But just in case, it's a good idea to take precautions. Protect the laptop or radio with some sort of cover. Can't do any harm, can it? I think that's the point the programme was making anyway. So I'm pleased to see TfL is not capitulating to the helmet correctness lobby. If they could broaden out from their emphasis on bright young people though I'd be even pleaseder. An attractive young woman on a bike is a pleasant sight. But a healthy cycling culture needs more than flowing-haired models pedalling small dogs in baskets. It needs schoolkids, and pensioners, and business suits, and dumpy tired-looking middle-aged people too. Speaking of which, if TfL needs another extra, I've a bit of time available right now. "Overall it was flimsy, full of holes, and gave little worthwhile coverage. Which is probably appropriate for an item on helmets." I see the Valencia bike hire bike advertising aims at all types. Cheers from the (helmeted) penal colony! I biked around Rutland Water today, and pleasingly only about 40% of people seemed to be wearing helmets-- mostly young families. Older bikers (and there were many) didn't wear helmets at all. The moral? If only young people wear helmets, and old people don't, the only conclusion can be that helmeted people all die young. @josh... reminds me of the advice I got when trying to select a minibus to travel on in a particuarly dangerously-roaded part of Georgia (the country, not the US state): Go for the oldest driver. If he's survived this far, he probably takes a bit more care round those precipice bends than his younger colleagues. @josh - well done, your reasoning is of the same type as the people who blindly advocate for bicycle helmet. I'll have to remember this one. But of course the Rutland Water circuit is (mostly) off road - so the usual reasons for wearing helmets don't apply. The section on helmets here amused me.. 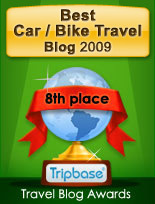 I used to like this blog, when it was about cycling rather an ongoing anti-helmet rant. I believe the BBC article concluded that the evidence was inconclusive, which sounds about right from what I've read elsewhere. As pointed out by the interviewer, Ian Walker cites a sample of one in his study that 'shows that vehicles got closer when I was wearing a helmet'. What was that you said about Angela Lee and statistical evidence? 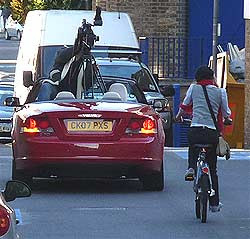 Maybe cars got closer to him so they could see what those wierd gadgets strapped to his bike were? @AdamS that's correct there is neither absolute evidence for nor against helmets. The thing is some people try to force the helmets on cyclists anyway. This is slightly worrying as it implies that cycling is a dangerous activity. If you feel good with a helmet on, that super cool with me, but don't go around preaching it to every person on a bike you meet. @ndru ... and we might add ..... if you choose not to wear a helmet don't go on preaching to those of us that do. I am so bored with people telling me how I am wasting my time wearing a helmet. @AdamS - sorry the blog comes across as an 'anti-helmet rant'; that isn't how I intend it. 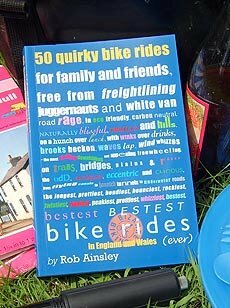 The vast majority of posts are about other things, some even about cycling. As someone who recently got knocked off their bike on a quiet road purely because the driver didn't look, I am quite happy in my own personal opinion that wearing a helmet is a sensible thing to do.